You have nice and slick Startup Disk Creator app by default in Ubuntu for creating bootable live USB drives easily. 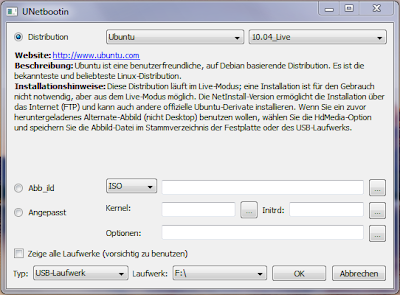 Now you can create a bootable live USB device in Windows also using UNetBootin. 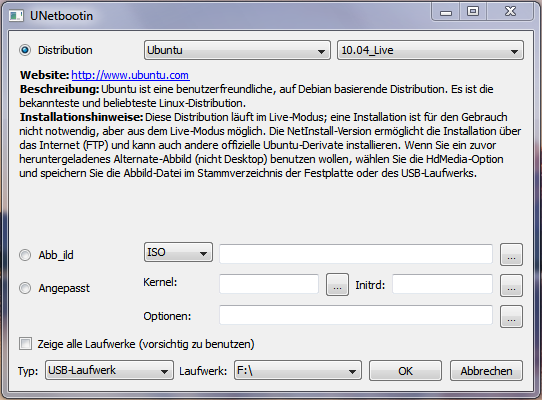 You can install UNetBootin in Ubuntu and other flavors of Linux too. There are a number of applications for creating bootable USB drives in Windows. UNetBootin is perhaps the most popular of them. To make things sweeter, UNetBootin is open source and is licensed under GNU GPL. UNetBootin even has a Linux version as well. "UNetbootin can create a bootable Live USB drive, or it can make a "frugal install" on your local hard disk if you don't have a USB drive. It loads distributions either by downloading a ISO (CD image) files for you, or by using an ISO file you've already downloaded." The number of Linux flavors that UNetBootin can automatically download and install is quiet overwhelming. List include latest versions of Ubuntu, Fedora, Debian, Linux Mint, PCLinuxOS, Sabayon, openSUSE, Arch Linux, Mandriva, NetBSD and so on. Download UNetBootin for Windows or Visit UNetBootin Download Page. UPDATE: Latest versions of UNetBootin is available in default repositories of Ubuntu Saucy, Raring, Precise etc. Just search for 'UNetBootin' in Ubuntu Software Center. In order to install latest version of UNetBootin in Ubuntu, you need to do the following in Terminal instead. For other flavors of Linux, visit UNetBootin download page. UNetBootin installation instructions for Windows, Linux with screenshots available here. And if you are new to Ubuntu, you might want to browse through the list of things you could do after installing Ubuntu. Also, do check out this super cool collection of top 18 applications I used to install after installing Ubuntu.